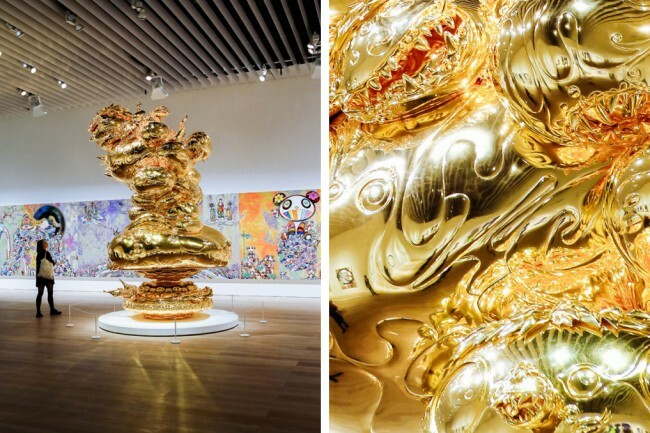 Following the opening of his exhibit in downtown Los Angeles’s The Broad Museum, Japanese artist Takashi Murakami opens two new exhibits in Japan that further display his unrelenting approach to contemporary art and culture through his marriage of fine art, cartoons and mind-bending sculptures. 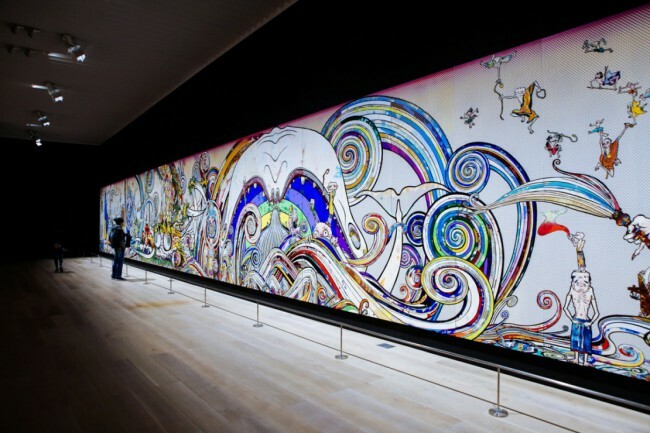 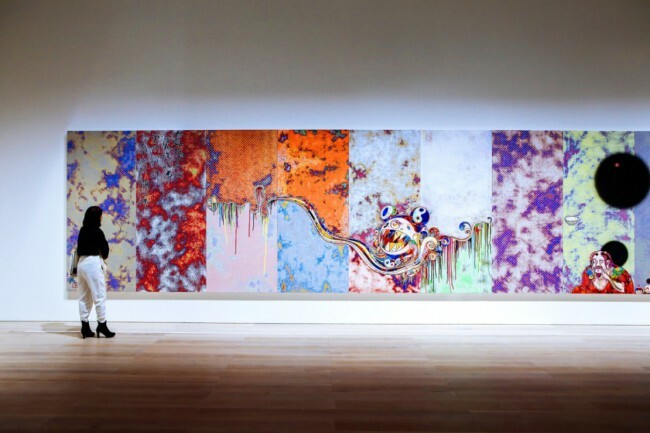 One select piece, “The 500 Arhats”, is a 100-meter long painting at the Mori Art Museum plays gratitude to the Qatar’s rush to Japan’s aid after the 2011 earthquake. 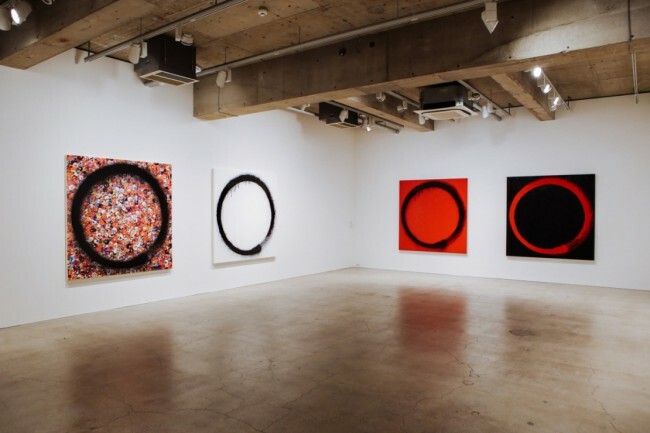 “Enso,” on display at his Kaikai Kiki Gallery, is an examination of Zen Buddhist’s circular motif symbolizing unity, emptiness and infinity within the religion, but we can’t help but think of horror flick “The Ring,” responsible for an entire sixth grade year’s worth of nightmares. 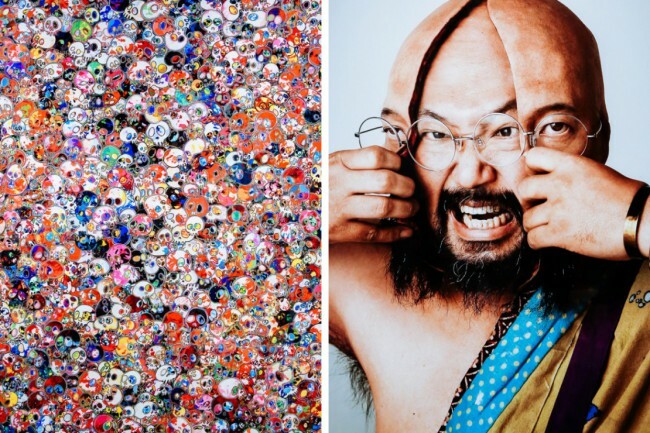 Hit the jump to peep more pictures from the exhibits. 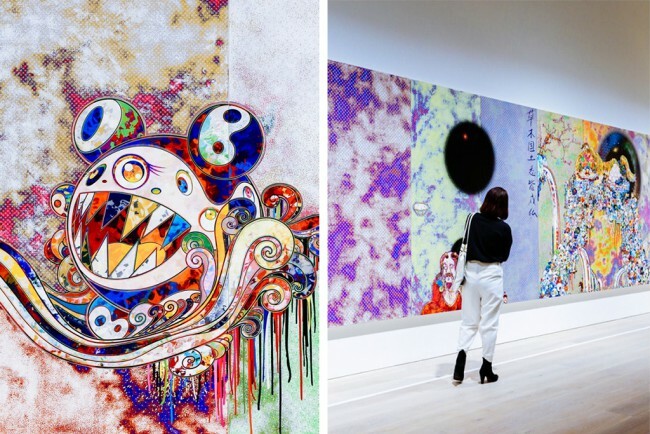 Takashi Murakami’s prolific art works have aligned his influence to Japanese culture almost to that of Andy Warhol’s in the United States. 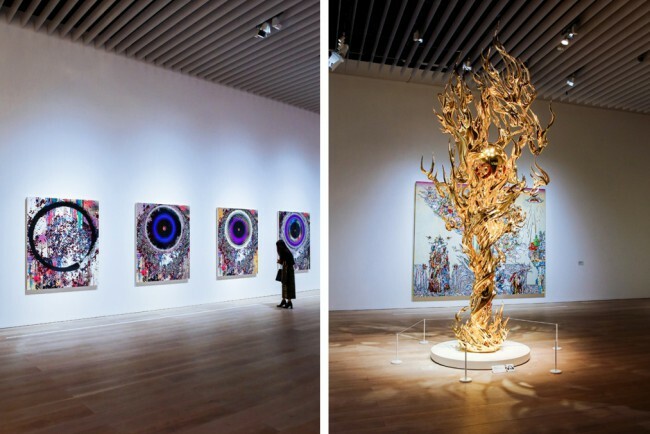 The merging of Japanese affection for anime, toys and video games with heavy Western culture impressions places him within a pop culture realm all its own. 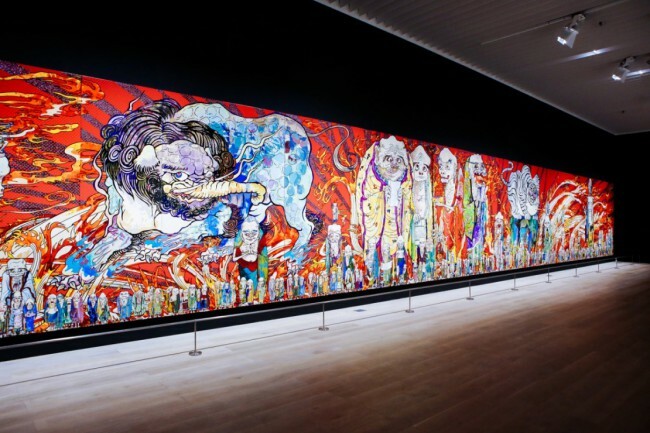 At times, Murakami’s work is an amalgamation of film, fashion, history and popular drug culture that manifests a landscape that seems to marry a childlike innocence and wonder with the stopgap of adulthood and its own magnificent darkness. 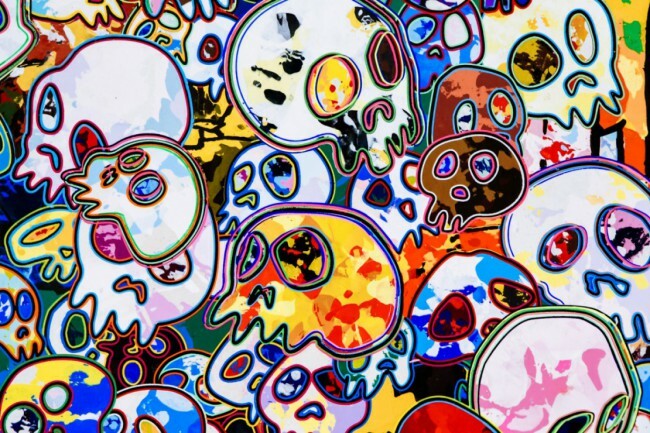 If Japan is a little arm’s reach away, visit Murakami’s exhibit at the Broad Museum for a display of the similar playful menace that’s become Murakami’s penchant.